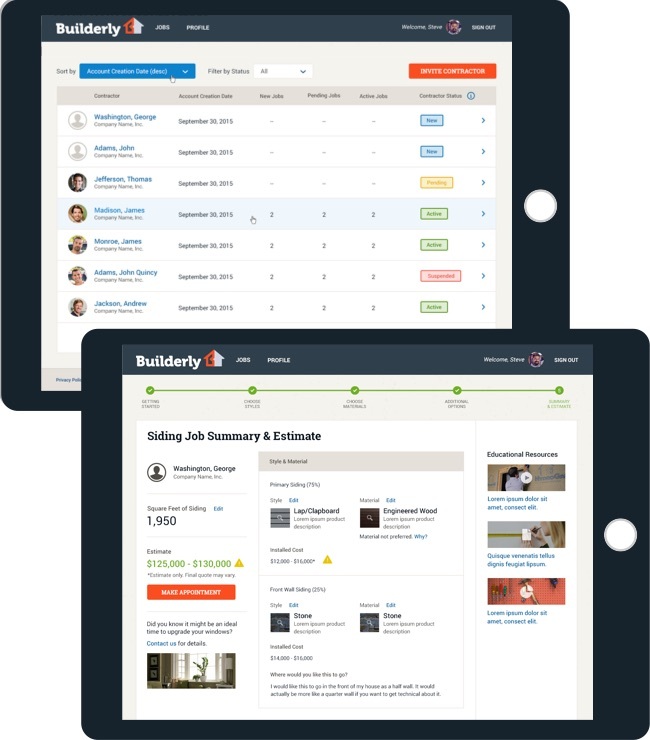 Builderly, a radical concept from building materials manufacturer Benjamin Obdyke, brings transparency and peace into the exterior home construction and renovation process by streamlining the communication, time-estimation, and education of exterior home projects between homeowners and contractors. 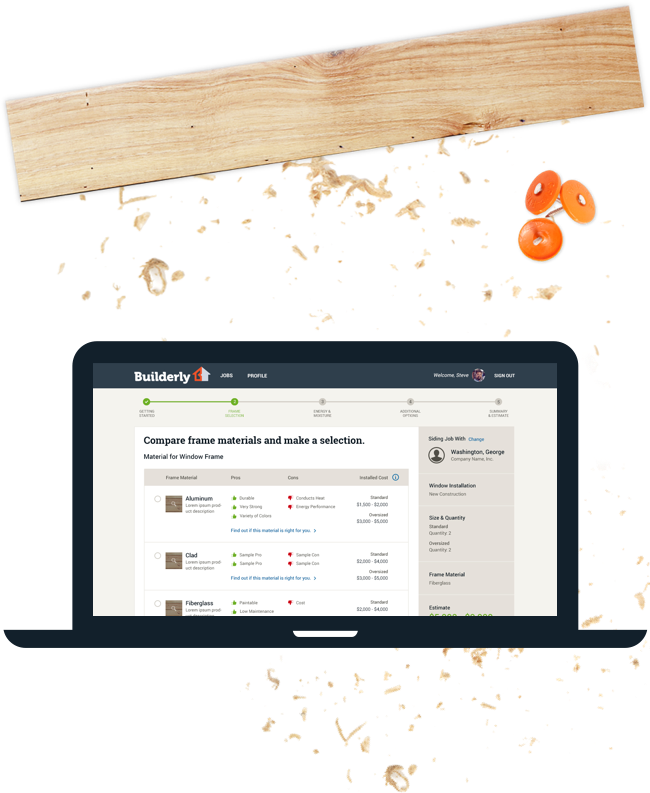 To bring Builderly to life, they needed a strategic partner to not only design and develop the solution, but research and understand the market. It’s no secret that homeowners and contractors often have different expectations of home-building projects. In fact, movies have been made about the often-hair-tearing process. Our client, Benjamin Obdyke, wanted to eliminate the mystery and, hopefully, stress of that experience. So, Builderly was born. We were the lead strategic partner for UX, UI, and development of the project. There’s no reason why contractors and homeowners can’t be friends. 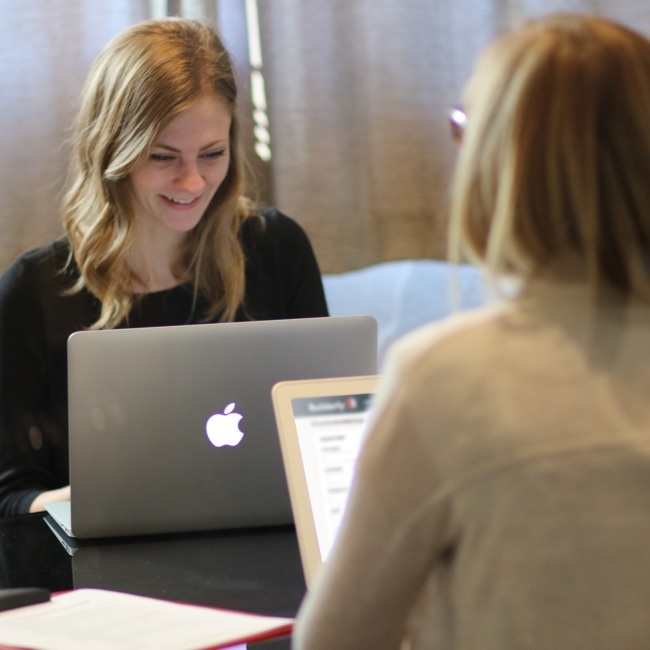 We were motivated to change that often-strained relationship by developing an easy-to-use transparent tool that kept everyone’s expectations and budgets in check. Contractors and homeowners often speak different languages, so we knew we’d have to design a UX that translated to both sets of ears (well, eyes if we’re being honest). Part of the challenge was to address most homeowners’ lack of building knowledge, so we knew we’d have to build in an educational component to clarify the process and allow homeowners to make the best decision for their needs. Building a successful solution would require iterating on customer feedback and extending the platform into new features. We knew we’d have to create a flexible technology solution that could be altered and scaled quickly and effectively. 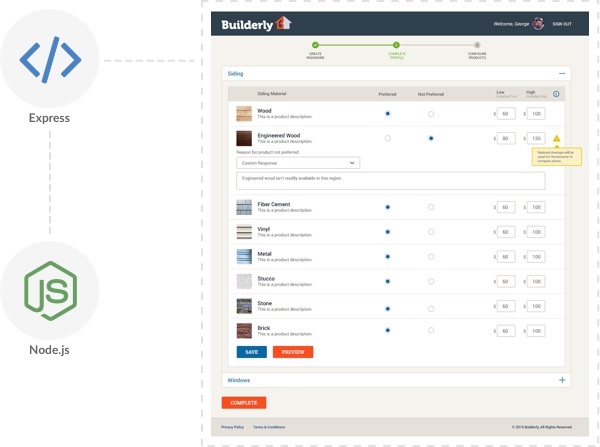 Since there hasn’t been an app on the market quite like Builderly, we jumped head first into the research and discovery process, analyzing user needs and devising product features accordingly. Naturally, we created the user experience to align with both contractors and homeowners’ needs. 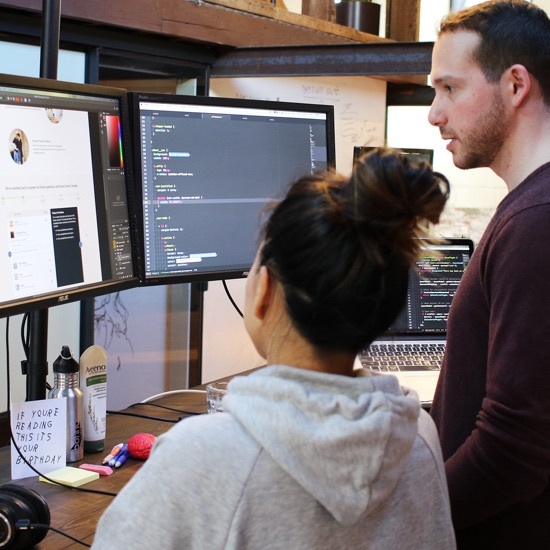 To get Builderly out into user hands, we worked fast - really fast - in coordinated and collaborative sprint cycles to get a beta product out the door and into real human hands. Call us mediators. We joke, but we spoke to countless contractors and homeowners to really analyze the problems in their relationships and how a product like Builderly could alleviate the burden. We also conducted a product and market fit study that looked at the app landscape so we could plan Builderly to scale up or add additional features as the app grew. With Benjamin Obdyke being a leader in the building materials market for over 100 years, we collaborated with their in-house marketing and product management teams to make sure the app represented all the details that go into the estimation experience. Our UX and UI design for the app had to work both sides of the room, both accessible for the experts, i.e. the contractors, and the clients. To develop an entirely custom app, we used a Node.js to integrate an educational aspect to the app, where users can make informed decisions about the types of materials and architectural fittings they need or don’t need for their project. The solution is developed so that the relationship between the display layer and data layer allow for quick alterations and scaling to the experience. What’s the way to Carnegie Hall? Practice…we did the same thing, sorta. We tested the product throughout the build to ensure user feedback was incorporated into the solution each step of the way. We built a functional prototype and tested with real homeowners and contractors to make an assessment on the various elements that needed to be refined. Tried, tested and true. Sure we wanted to solve a larger business issue, but we also wanted to extend our client’s reach. We worked with Benjamin Obdyke’s in-house team to develop a solution that synced with their user acquisition strategy. This included their sign-up and onboarding processes as we rolled out the app. We also developed a data layer to ensure we could measure progress and take active steps to correct any missteps. In our world, we use data to inform future enhancements to the products we develop. How amazing would it be if simply through a series of sensors we understand better how people use their space and what parts of the home are most in danger of decay. That sort of real space analytics could give a contractor valuable insight on product recommendations - and in some cases could actually save your home. See our O3 Poops project below for an example of how we’re experimenting with this technology.